Today we finished the major parts of the excavation. 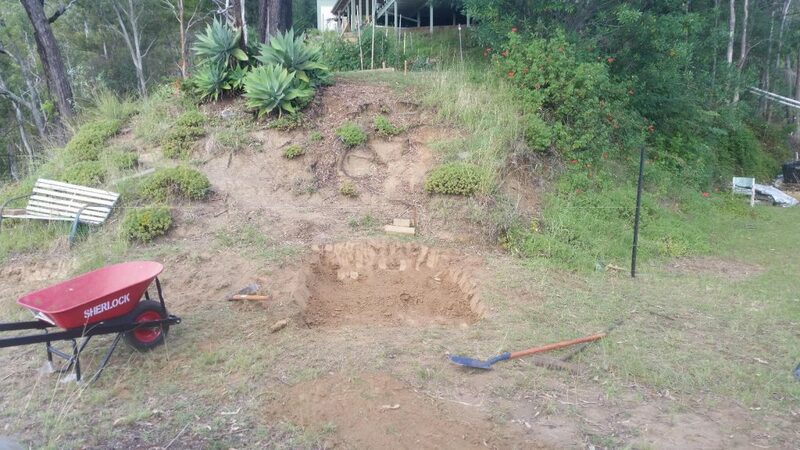 Because of the access and ground stability issues we have, all excavation, post holes etc are completed by hand, by us. It is wonderfully rewarding, but at the same time often frustrating and hard work. This was the case with the bottom steps excavation. The ground was hard… and when I say hard I mean HARD! Sure the remaining topsoil came off easily, but just under that was the hardened ‘rock soil’ layer. 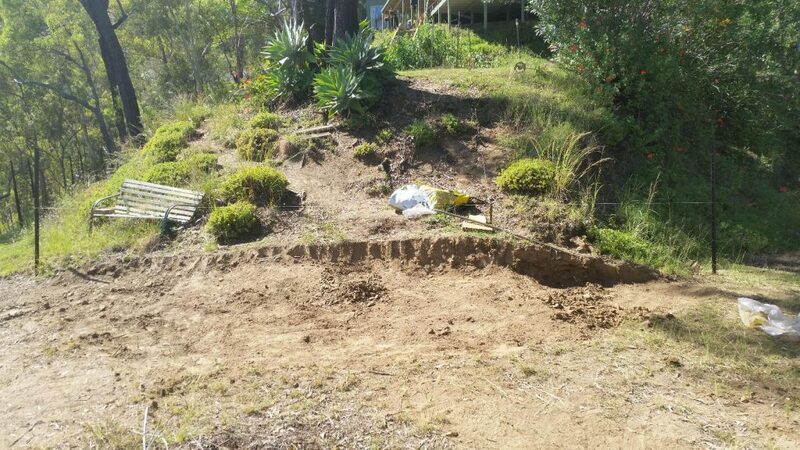 This took a fair bit of time and effort as we had to break up every part of the soil/rock before removing it. 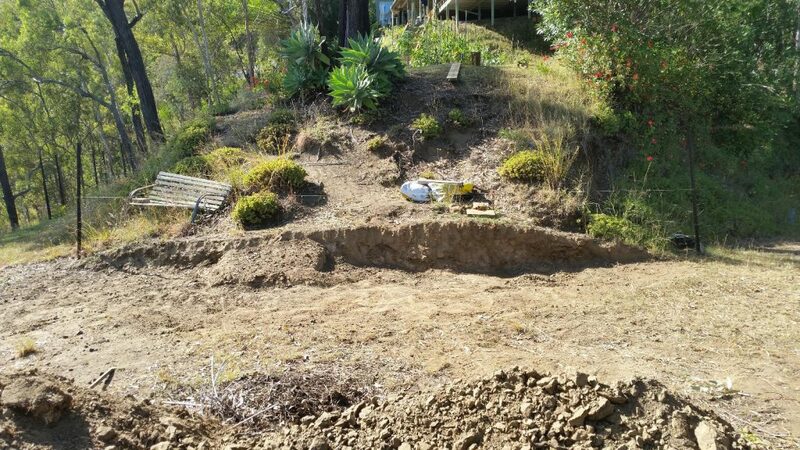 With the excavation done, work can now start on the supporting structures for the bottom steps and the surrounding retaining wall. We are not looking forward to digging post holes for the retaining wall posts. I imagine it is going to be hard and and long process. 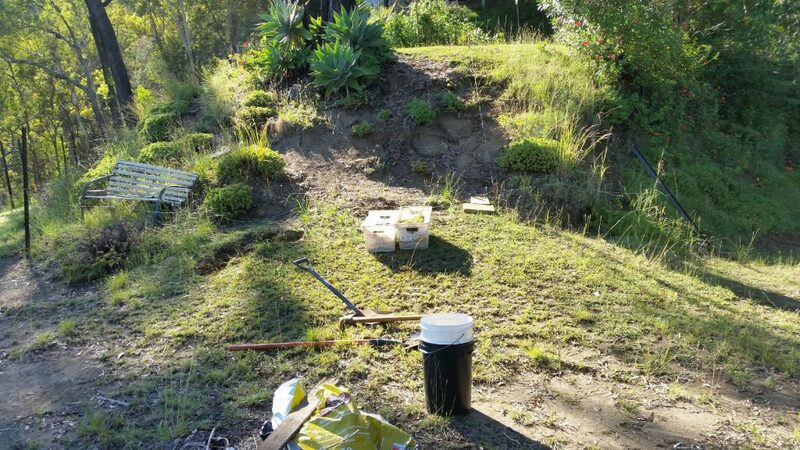 But the finished structure will contain and control water and soil from the Plot level, and vastly improve some of the devastating effects of the the erosion. 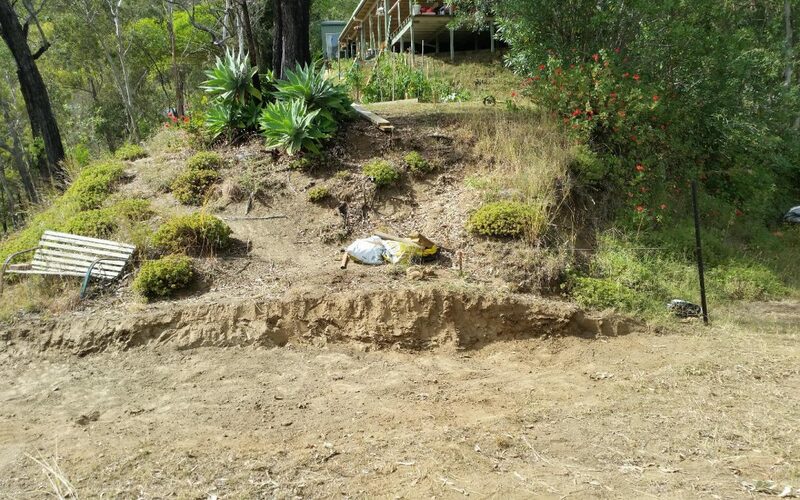 It will also improve and enlarge the garden space around the Narrow-leaved Ironbark that sits on the Plot level. We are looking forward to getting this finished as it is our biggest project so far, and will lead to even bigger projects.